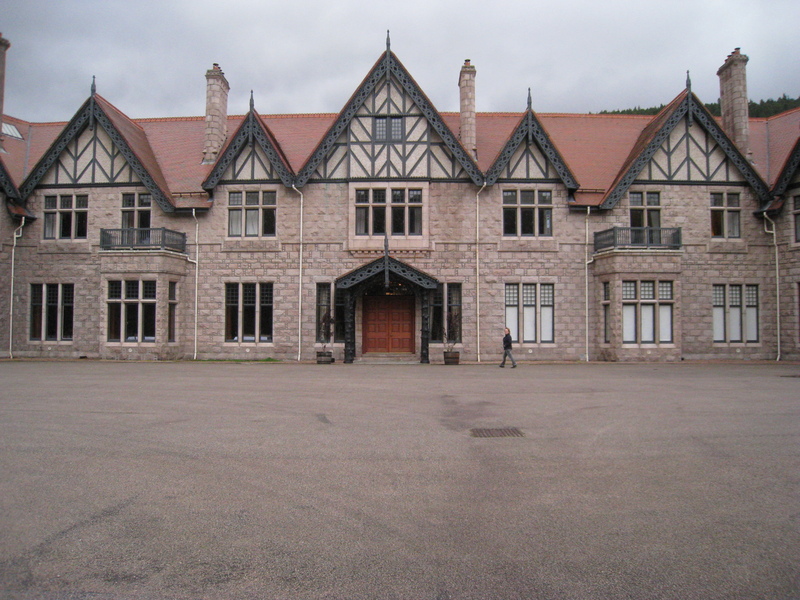 A meeting at Mar Lodge produced some news of interest at the weekend. Hosted by Mar Lodge Estate’s Property Manager David Frew, the evening meeting was a community update to let local people – and interested parties – know about events during the past year and a little about what’s planned for the future. 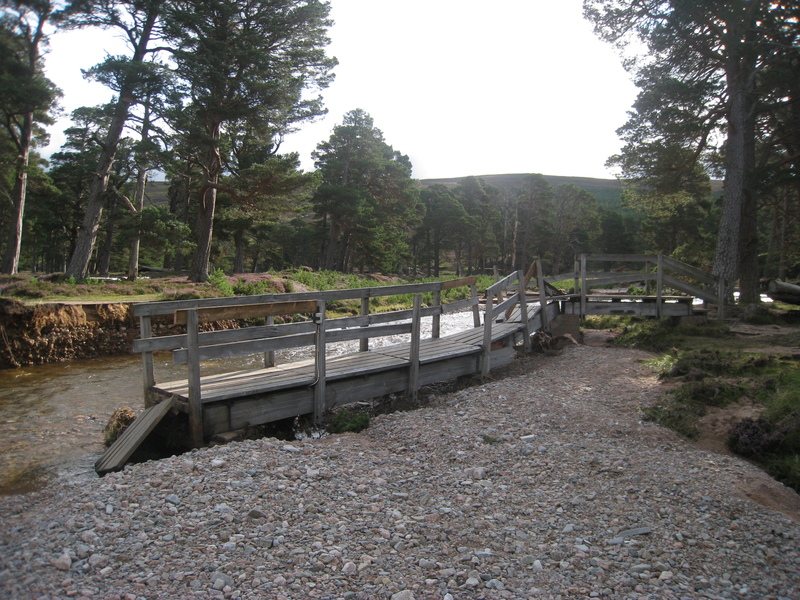 Lots of interesting stuff, about all aspects of the estate, but one hot topic for any walkers in the area was the future of the footbridge at Derry Lodge. Only on Saturday morning I had been speaking to a visitor who was glumly contemplating a wet crossing of the Derry Burn (I directed him to the tree bridge) and expressing the view that the estate probably didn’t ever intend replacing the bridge. I told him he was wrong, and that was borne out at the meeting on Saturday evening, when David Frew confirmed that the estate’s insurers had agreed to pay for bridge damage. It appears there is still some discussion whether the bridge will be rebuilt on the current site or at a more favourable location, which would allow use of a hard track rather than the current boggy crossing of the Derry Flats. This would be drier underfoot for walkers and would also leave the flats, frequented by Black Grouse, in peace. Whichever solution is settled upon, however, it is likely to be spring before any work takes place. In the meantime the official line is that, if the river is too high to ford safely, the next crossing is up at Derry Dam, a couple of kilometres up Glen Derry and making a considerable detour for anyone heading to or from Glen Dee and the Lairig Ghru. It’s not as bad as all that though. I spent a morning a few weeks back, cutting a way through the branches of a tree which has fallen across the Derry Burn about 200 metres upstream from the bridge site. The trunk is broad and there is now a relatively free passage through the upper branches of the tree on the west bank. You still have to clamber over the root disc on the east bank but, with care, a crossing can be made without too big a detour. When you have crossed to the west bank it’s best to head at right angles to the burn until you reach the path: if you head directly downstream you end up having to cross some wet ground and a boggy ditch. Staying in the same area, we were told that the National Trust for Scotland, which owns the estate, is very keen that a use be found for Derry Lodge, which for long has lain as an empty shell. Independent consultants Bell Ingram have been asked to carry out a feasibility study into different plans for the building. One proposal is to make a European-style mountain hut with accommodation and some catering. There has also been interest from youth-based organisations. We were told that, whatever use the building was eventually put to, there was no intention to open up the road to vehicle access. I asked David Frew what the implications would be for Bob Scott’s Bothy were paid-for accommodation created just a hundred yards away and was told that there would be no implications: Bob Scott’s would be able to continue as a bothy. However, moves to formalise a lease for the bothy, already underway, would have to progress, with Friends of Bob Scott’s Bothy formally taking over the present de facto situation there. There has been a feeling amongst campaigners for the future of this refuge that the estate is dragging things out hoping people will lose interest but the section of the evening devoted to buildings was introduced by a slide of the GCR, so no dodging the issue there… almost. David apologised for the delays in consultation on the future of the refuge – two years’ of delays – but said that the long awaited event would take place “early in the new year”, with an independent consultancy canvassing views and preparing a report for the NTS with a recommendation on the future – or lack thereof – of this important and valued structure. I’ll be following this closely and will update any news on the consultation on this blog. This doesn’t come from Saturday evening’s meeting at Mar Lodge but, having thrown down the gauntlet to the DofE Award, it’s only fair to recognise their rising to the challenge. My post about youngsters’ behaviour at Corrour and later photographs that emerged of graffiti there and at another bothy were taken on board by the DofE Award Scheme who suggested a meeting. There we – the Mountain Bothies Association and the DofE – agreed to work together to prepare educational material that could be fed through to youngsters on DofE Award expeditions, explaining to them how bothies are looked after and their vulnerabilities to misuse. It won’t mean any change in the DofE expedition ethos of staying under canvas, but recognises that kids will be kids and, if they see a bothy, will go and have a look. There are a few measures under consideration but the important thing is that a dialogue has been opened and the attitude from the DofE scheme at Scottish level has been very positive and encouraging, and any educational materials prepared will be available for other interested youth groups too. 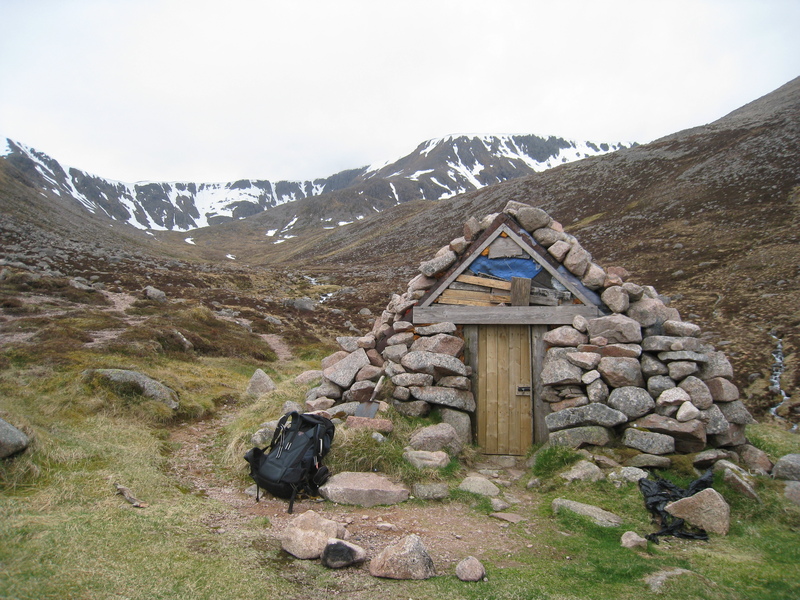 This entry was posted in Bothies, News and tagged derry bridge, derry lodge, DofE, Garbh Choire Refuge, Mar Lodge, Mar Lodge Estate, National Trust for Scotland, NTS. Bookmark the permalink. Brilliant, thanks for all the information! 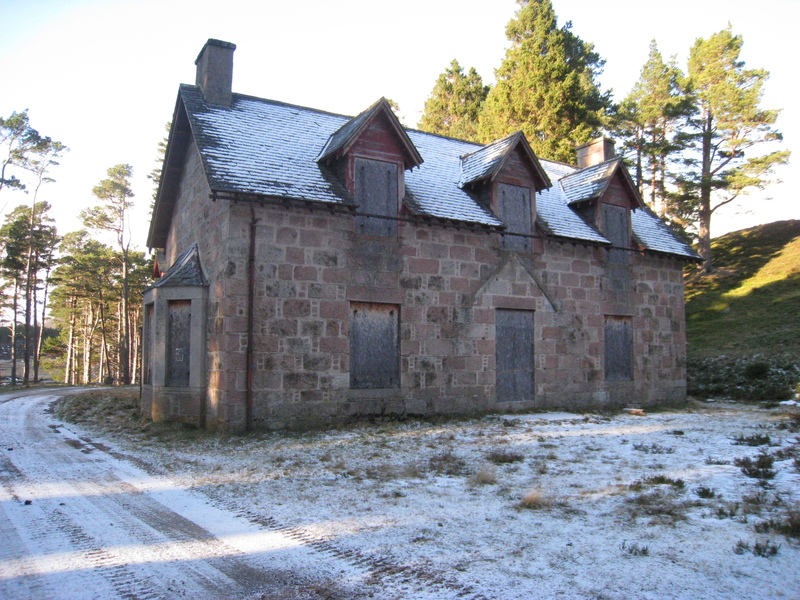 Lots of interesting stuff happening on Mar Lodge Estate. Will try to keep news updated. Regards the bridge at Derry Lodge, there were two bridges at one time which enabled Bob Scott to drive over to Luibeg without the need to ford the burns in his Landrover. The first crossed the Derry Burn at approx 040933 and the second, over the Luibeg Burn at 037933. The original path to the Larig Ghru crossed the first bridge and then followed the river passed the second. The original path can still be seen when you coming back from Corrour. It goes off to the right just before the high point overlooking the boggy flats.. I think something similar is one of the plns being looked at, Sinbad. I can remember the bridges still being there back in the late ’60s – maybe even into the ’70s. Can#t recall when they came down. What of the bridge near to Scotties? I remember that being the obvious route to the old cottage and devoid of bog. That was a very short-lived bridge, Dave. It was built after Bob Scott left Luibeg and was destroyed in an argument with a digger just a few years later. It would certainly be a good site to build again, as the banks seem pretty stable there, but it would, of course, then need a second footbridge back across upstream from the confluence with the Derry Burn. That may well be what the estate is considering, but it depends on the insurance company too, as they’re forking out the cash. I mentioned the tree ‘bridge’ in a post back in August. Only goes to prove everybody in the world should follow my blog! 😉 Commiserations though – it’d be a cold wade at this time of year. I do follow & enjoy the reading, obviously somethings don’t stick im my old brain. excellent blog ,met you up at Bobs in early Sept, I am the non cycling half of the Sheffield two. On my walk out to the Linn sat.morning passed about 25 heading to the hills,busy old track. Hi Richard, yes it can be a busy road that, but mainly during the morning and evening ‘rush hours’. If you start your walks the same tiome as everyone else then the Cairngorms seem very busy, but if you start early or late you get them a lot quieter. I’ve long said Derry Lodge should be re-used and be turned into a bunkhouse or Youth Hostel type of thing – hope they don’t just keep it for ‘youths’ though. I don’t think paid-for accommodation near Bob Scotts would stop anyone using the bothy – I fully intend a trip there as soon as I can – it’s been on my to-do list for ages – a really iconic bothy in my book! A station of the Snow Survey of Great Britain! I’ve been planning a post about Derry Lodge for some time. Really must get round to it.